Bring the best of French coast pampering to your home for all hours luxurious relaxation. No stress free day in Saint Tropez is complete without a night of fun, and this spa is no different, with a free floating pool light included to energise any evening spa session! The Lay-Z-Spa Saint Tropez AirJet is comfortably seats 4-6 people, making it perfect for familiy gatherings and hot tub parties. The Lay-Z-Spa Saint Tropez AirJet can be set up practically anywhere with a flat surface. Its cushioned floor, inflatable walls and sturdy circular beam construction offer structural stability and comfort. You will also recieve a leatheroid cover, complete with child safe double-lock safety clips, and an inflatable lid providing extra protection and additional insulation. Choose the Lay-Z-Spa Saint Tropez AirJet for all the feature you expect from a fixed hot tub with an added touch of glamour. How easy is the Saint Tropez to set up? Very easy! The Saint Tropez only takes around 10 minutes to set up and up to 1-2 hours to fill with water depending on your water pressure. You inflate the Lay-Z-Spa using the pump and you don’t need any tools. We also have setup videos available to guide you through the process. How much does the Saint Tropez cost to run? We estimate that it costs around *£7 - £10 a week to run the Saint Tropez based on feedback we have had from our customers (*this is an estimate and does not take into consideration specifics such as electricity supplier and use frequency). Does the Saint Tropez have a warranty & UK support team? Yes to both! Our standard warranty is 12 months on the pump and 6 months on the cover & liner, which you can extend by 50% for free by registering with us (details in the box). We have a free UK based support team who are fully trained to help Lay-Z-Spa owners. Does the Lay-Z-Spa Saint Tropez plug into a normal UK socket?  Yes, all Lay-Z-Spas are designed to plug into a standard UK 13amp/240V electrical supply. We advise that you always use an RCD protected socket (like those installed in your home) and not an extension lead. The Saint Tropez comes with a 7 metre power cable. Can you put the Saint Tropez indoors? How long does the Saint Tropez take for the water to heat up when you first fill it? The Saint Tropez Airjet hot tub comfortably fits 4-6 people. Illuminate your spa session with our popular LED spa light included with the Saint Tropez.